Add the smoked paprika and freshly ground black pepper to the self-raising flour and mix. Add the Yorkshire Butter to the flour and mix until it resembles breadcrumbs. Add the spring onions, Henderson’s Relish, egg and milk to the mixture and mix together. Add the grated Yorkshire Cheddar and mix gently. Once combined, stop and roll out. Stamp into shapes and pan fry in a dry pan on a medium heat for approximately 6-8 minutes each side until golden. 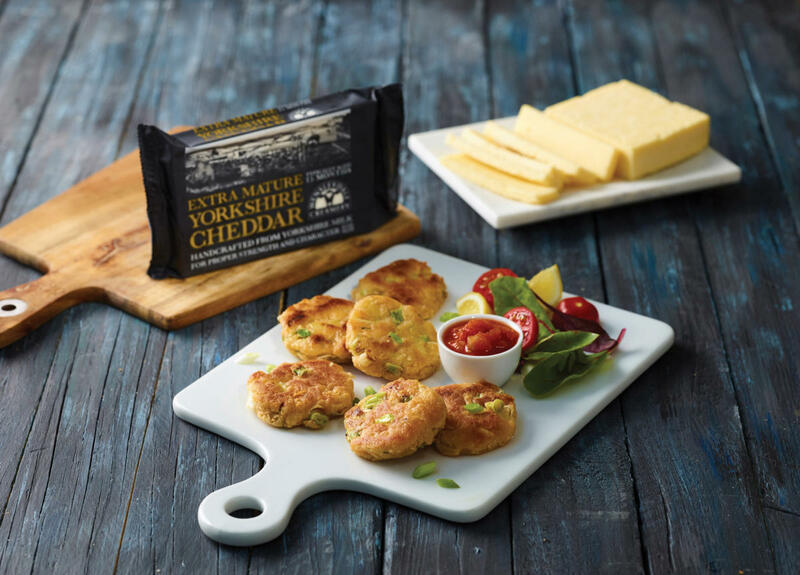 Serve hot, topped with a little more Yorkshire Cheddar (grated). Delicious served with tomato relish or cured meats and pickles. Alternatively, serve with smoked salmon and a squeeze of fresh lemon.